Wishing Happy Holidays to You, My Readers! May they be filled with your dreams (and hectic only in a good way). 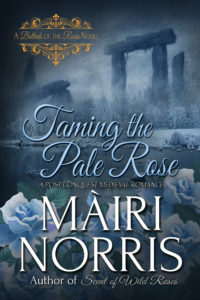 I’ve given it a gorgeous new cover I think you’ll love as much as I do. This book remains one of my personal favorites of all my novels (I’m still in love with Jamie and Jayce, lol), and I’m sharing it on sale – 99¢ – for this month. 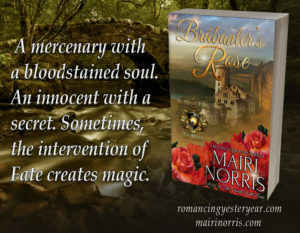 When love is lost and innocence betrayed, how does the heart survive? 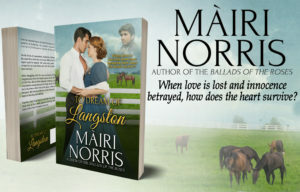 From the untamed moors of North Yorkshire to the bluegrass pastures of Kentucky, one woman’s passion carries her from love’s first bloom to a dream of love everlasting. 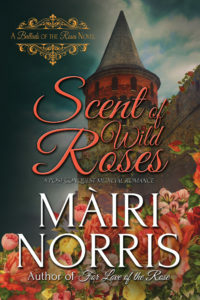 Spring storms and computer problems aside, the newest release in the Ballads of the Roses, Scent of Wild Roses (Book Four), is now available. 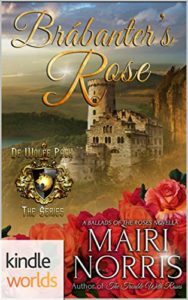 A knight of King Henri and a beautiful serf are caught up in a web of intrigue … and the lure of abiding love. Return to the post-Conquest world of the powerful D’Auvrecher family with subterfuge, duplicity, and danger…. Annice stiffened and drew herself up to face him. So, she rallied her defenses. They would do her no good. In battle, all was fair, and Evart had privately declared war. The desire, the hunger-the lust-between them held powerful, mind-numbing sway. He would use its sweet burn to beguile, to overwhelm the resistance of her will. In an instinctively protective gesture, her hand went up between them, palm out. He stopped, giving her chance to hold him at bay. With bare inches separating them, he towered over her. He settled his gaze on the wispy confusion of her unbound hair. He leaned into her, crushing her gently with his heat against the wall where she stood braced. He slid his hands into those midnight waves to anchor her head as he took her lips. She gasped at the first brush, that first tempting touch, and her eyes drifted shut, hiding her desire. Her palms on his chest did not push him away. He deepened the kiss, tapping into her passion, pulling it from hidden depths until she moaned her pleasure. His hands abandoned her hair to stray downward, seeking warmth, softness, yielding curves, drawing forth from her little cries as he relinquished her lips to trace kisses along her chin, nuzzle the soft skin beneath her ear and nibble the smooth expanse joining neck and shoulder. When her body writhed inside the prison in which he caged her, he pulled away only enough to allow her arms to lift and grasp his shoulders. The action gave him unlimited access, and he took it, yielding no quarter. He tightened his arms around her and pulled her close, and closer still, his hands on her hips joining her feminine undulations to his male surges. Frantic little croons broke from her lips. Her hands fluttered over his shoulders and up into his hair, seeking, stroking, caressing. She gasped and tensed as his assault intensified. He returned to claim her mouth, giving and plundering, both at once. He wrapped himself around her, tightened his hold, offered one final, surging assault on her senses and then… stopped. He dropped his arms and stepped away. It cost him. Oh, how it cost him. But he would win this conflict between them. 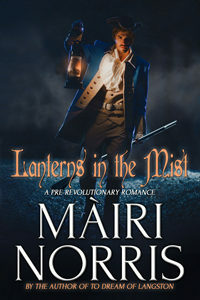 I am so pleased to offer Lanterns In The Mist, my newest release set in pre-Revolutionary Colonial America. Slightly darker than my usual style, Lanterns In The Mist contains scenes with *graphic content* that may disturb some readers. Virginia bootmaker Duncan MacCabe needs a partner and wants a wife, but not both. So what is a pragmatic man to do but combine the two. When he learns a bride ship is en route to Norfolk with women aboard who might fit his qualifications, it appears his problem is solved. London bookkeeper Susanna Cooper is desperate. With her father’s sudden death, the family livelihood is gone. Her only sibling, a younger brother, abandons her to sail to China. All other options exhausted, she joins the complement of a bride ship headed for the Colony of Virginia. The only guarantee: employment or a husband. Destiny joins Duncan and Susanna and love binds them, but a pitiless adversary, his desire for Susanna thwarted, plots a chilling vengeance to separate them—forever. Susanna witnessed everything. Her eyes blinked, but she could not close them, nor could she force her gaze far enough to one side to avoid the images. Once, blood spurted from the ruffian with such force the droplets arced to splash upon her face. Crimson colored her senses, as everything within her range of vision seemed drenched in a gushing fountain of blood. The horror became so great she swooned. The respite lasted for an unmercifully brief period. Finally, blessedly, the ruffian’s eyes glazed. He struggled to draw a gurgling, agonized breath through the gag, but the effort failed. Though his body did not move, it seemed to collapse. The light in his eyes faded. Through it all, her captor hummed a tuneless croon. A beatific smile curved his lips. He pushed back the cowl and removed the mask. That serene, euphoric gray gaze bent upon her. It’s an exciting day for the authors in the Kindle World of Kathryn le Veque’s de Wolfe Pack World – in which I am proud to be included. Together we are sponsoring an amazing giveaway: a Kindle Fire pre-loaded with all of the World of de Wolfe Pack Amazon Kindle Worlds re-launch books. 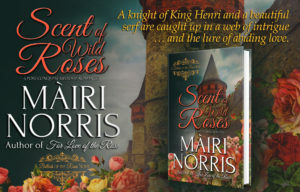 Whether your taste in romance is Medieval or Victorian, Viking or Highlander, Western or Regency, Contemporary or Time Travel, we’ve got it covered. 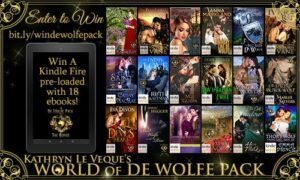 Come share in the excitement of the Kindle Worlds relaunch of Kathryn le Veques’ de Wolfe Pack World! One of the things most enjoyable about writing historical romance is that integral component of the subject, research. History is endlessly intriguing as one delves into cultures, customs, languages and habits of peoples who lived in times and places far different from one’s own. 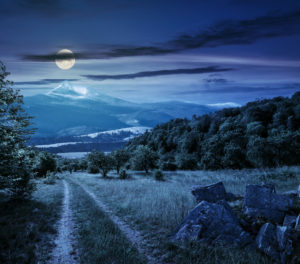 Whether I study the refined societies of the ancient Brythons (Britons), the fierce and dauntless Viking culture or the tangled web of Norman/Saxon relations, I occasionally feel as if I’ve wandered, not into another time, but onto an alien planet. Amazingly sophisticated levels of knowledge and technology often coexisted hand in hand with erroneously bizarre—and sometimes deadly—beliefs. One of the most gripping areas of inquiry is the art of war. Brutality and conflict have characterized humanity’s struggle for life from the very earliest of oral tradition and written record. There is an undeniable fascination in the study of the ancient methods of conquest. An enduring aspect of the making of war throughout the centuries is the mercenary, that hardy soul peculiarly of ‘foreign’ birth and trained in the art of combat-for-pay. Also known in those early days in Europe by the various terms ‘mercennarios’, ‘solidarii’ and ‘stipendiarii’, the reputation of these warriors was such they might be hated and feared or glorified and blessed, both at once. More often than not their chosen profession was vilified by the general populace, but not, as is the modern viewpoint, because they owed loyalty only to the lord who paid them. It was common practice of those days for knights and warriors to fight for coin [even Crusaders]. The monarchs and noblemen who hired them understood their own exalted positions—and frequently their very lives—depended on these skilled fighters. They used them as extensively as their coin would allow. Historians agree mercenary armies in general were no more rapacious than regular troops. ‘Ravaging’ and ‘siege-craft’ were, and often still are, standard methods of warfare practiced by armies. Kings routinely pursued the ‘scorched earth’ policy as the first step in launching war. As specific units, there were among the mercenaries those with reputations as ‘honorable’ fighters, and those who became famous for their brutality, cruelty and excessive use of force. One particular band generally classed with the latter was the Brábanters [aka Brabáncon, Cotereaux or Routiers (‘ravagers’)], so called because they originated from the area called Brabant, at that time located in parts of what is now the Netherlands, Belgium and France. [Brabant was made a duchy of the Holy Roman Empire, c. 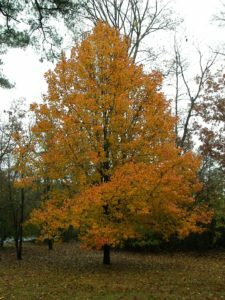 1190.] Later men of this affiliation were drawn from all areas of northern Europe. Generally, Brabáncon fought on horseback, though many were also highly trained foot soldiers. The expense involved in hiring them was significantly greater than other early medieval troops, for they were among the finest fighters of their day. Warfare was their chosen way of life. History records that more than one king owed his continued reign to the service of these elite warriors. One example was King Henri II’s successful use of their skills in the Battle of Dol, Brittany, during the rebellion of 1173. Brabáncon archers—crossbowmen—may be the originators of the word “gaffle”. This was a steel piece on a crossbow that provided the leverage to bend the bow. They were also excellent pikemen, and many were highly skilled in the use of sword and lance. Considered among the most ruthless and brutal of the mercenary forces, they terrorized entire populations. As a result, the Third Lateran Council of 1179 condemned them en masse, directing that all who hired them be excommunicated. They first appeared in England with William the Conqueror, though it was not until the time of King Stephen they appeared in significant numbers. King Henri II used them extensively, but for the most part kept them out of England (they served him mostly in France). A little over a century later Brábanter mercenaries served in the Hundred Years War, fighting with the English armies in Cambrai and Tournay, France. Dictionary of Medieval Terms and Phrases. Christopher Coredon with Ann Williams.